No matter how creative and talented you are within the design field, at times you may feel you’re in need of some inspiration to spark your creativity. Whilst the internet provides an endless resource of information, at times we prefer a good old hardback book to engage our imagination. 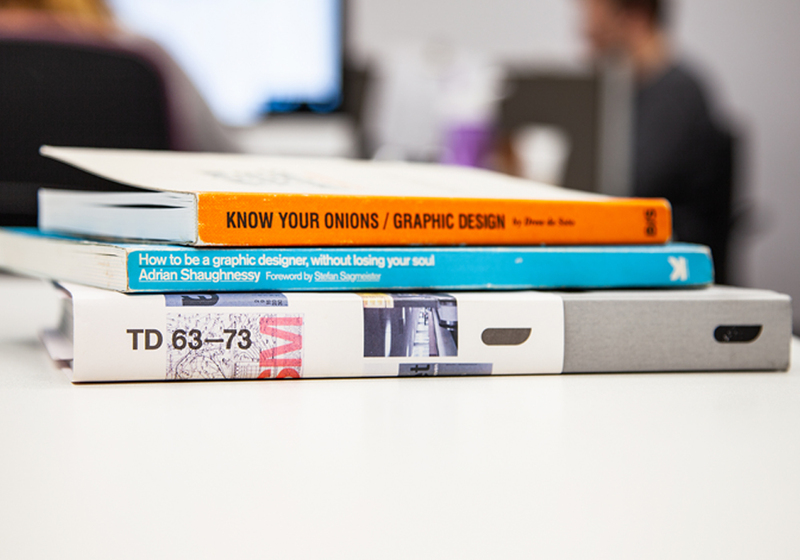 We’ve put together our top 3 design books to help you further develop your graphic design skill set. How to be a Graphic Designer, Without Losing Your Soul is an essential read for any new or experienced designer. It offers straight-talking advice on such things as employment options, setting up as freelance, establishing a firm, finding and keeping clients, pitching and generally doing good work. Whether you are a junior designer or have been in the graphic design world for years, this book is a must-read. Author Drew de Soto is the founder and Creative Director of Design consultancy Navig8 and has over twenty years of design experience to share with the reader. This book is not your typical ‘how to’ book, but more of a helping guide on how to be a designer with practical design tips and pointers that he has been learned over the years in the industry. The book explores the fundamentals of design and also provides design industry processes, how to manage projects/clients and methods of best practice. Know Your Onions is an invaluable resource book written in a witty and easy to read format. Written by Ben Bos, a key member of the studio, the book delves into how a group of idealistic Dutch designers in the 60’s grouped together to create one of the first multidisciplinary design groups in Europe that shaped the future of design. Total Design set new benchmarks for identity design, typography, exhibition design, cultural design, and product design. The book TD 63-73 is a catalog of Total Design’s golden period containing hundreds of images from there archive and is a must-have for any design studio library.